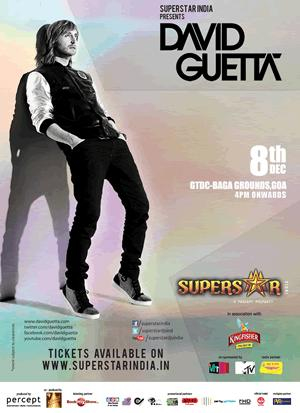 David Guetta, the most popular DJ in the world revisits India. 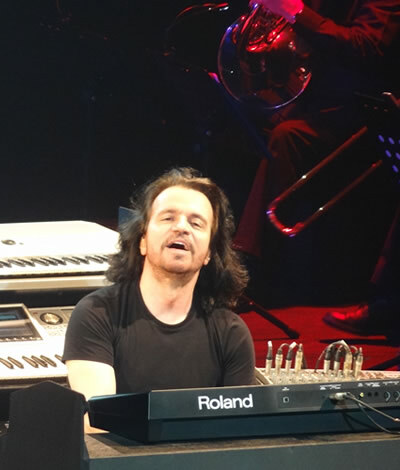 He is back in less than one year after his last february sold out shows and SNL pro crew is all excited to rock again with the 'With or without you' star and to relive those 'Memories'. 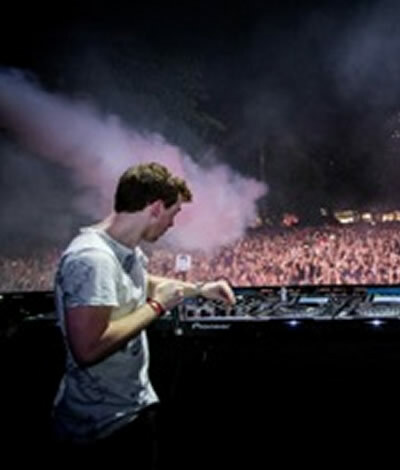 This time its on the sands of GOA with more than ever people attending the concert. 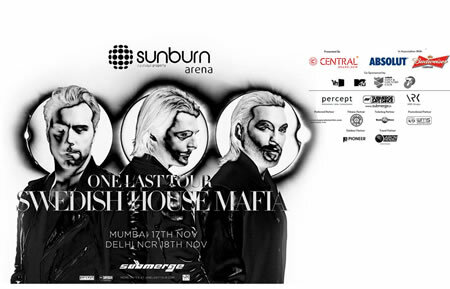 Swedish House Mafia, India Tour. 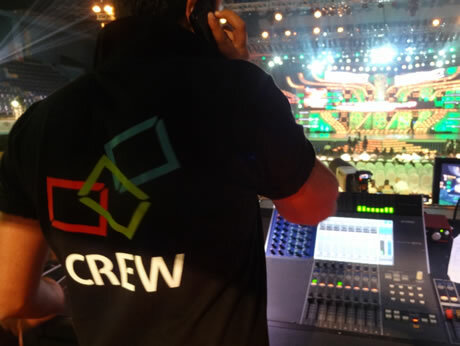 Snlpro handles complete technicals - Audio, Lighting, Trussing, Video for SHM Mumbai. 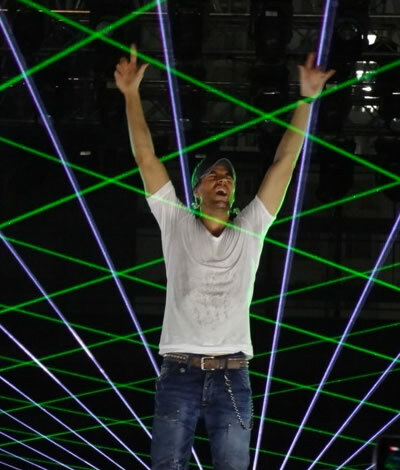 Enrique Iglesias to tour India, performances in three cities. 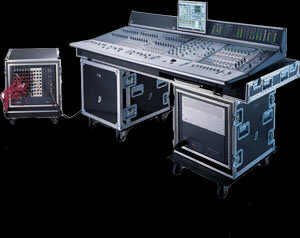 Digidesign Venue Profile added to the existing inventory. Wireless features for remote control devices over Wi-Fi. 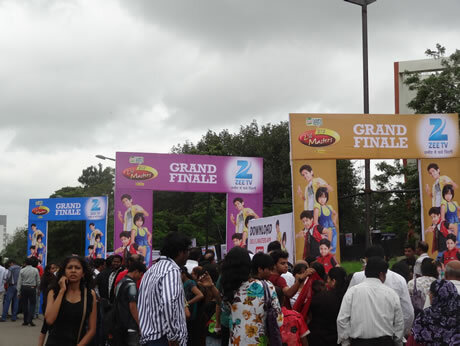 SNL Pro, the proud audio partner for India’s biggest dance show, Dance India Dance Little Masters Grand Finale 2012 rocked it again with more than 8,500 seated audience at Balewadi Indoor Stadium (Pune) on 12th of August 2012. Wireless Microphone : Sennheiser Evolution Series, 20 Units. 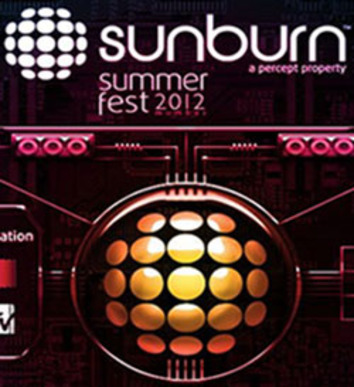 Sunburn Festival 2012 is all set to dazzle with its fascinating, star studded artiste line-up and the promise of non-stop excitement for all those electronic dance music fans out there. Those who missed the action last year can capture its magic this year and that too in the Entertainment capital of the country, Mumbai. 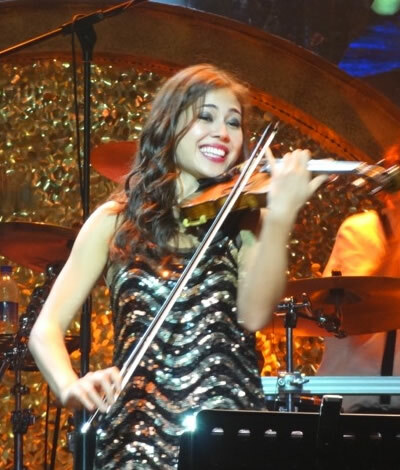 Of course, the performances may also be seen broadcasted live on YouTube, in across 120 countries around the globe and SNL Pro is chosen to be the proud Audio Partner as well as Trussing and Rigging incharge for this huge event. 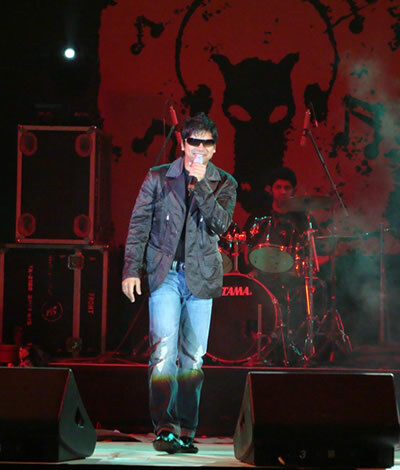 SNL Pro is all excited to handle the Audio & Lightings at the Harley Davidson performances by premier rock bands of India. 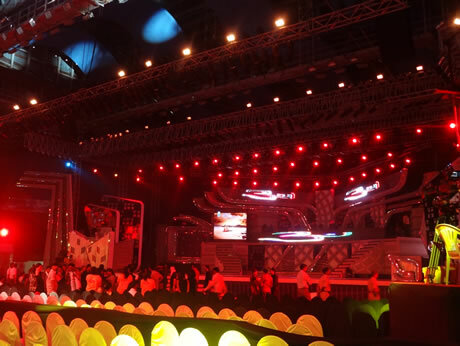 It also handles TVS Motors complex truss design with Lighting and Audio for 360 degree projection. The always unpredictable Susheela Raman, the extraordinary Raghu Dixit and one of the most popular Pakistani rock band 'Strings' are all set to kickstart the Mumbai Mirror Live Jam Stage with their electrifying sound. 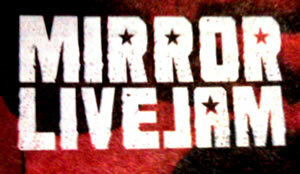 Catch them live on the 10th and 11th December at the Bandra Fort.